You come into contact with magnets many times in the course of your daily life. They play an important role in a wide range of devices including simple toys, computers, credit cards, MRI machines and business equipment. Magnets range in size from barely-visible specks to industrial monsters weighing tons. Though some are plainly visible, others are often tucked inside the inner workings of appliances and other household, medical and commercial items, doing their job silently and unseen. Many computers use magnets to store data on hard drives. Magnets alter the direction of a magnetic material on a hard disk in segments that then represent computer data. Later, computers read the direction of each segment of magnetic material to "read" the data. The small speakers found in computers, televisions and radios also use magnets; inside the speaker, a wire coil and magnet converts electronic signals into sound vibrations. 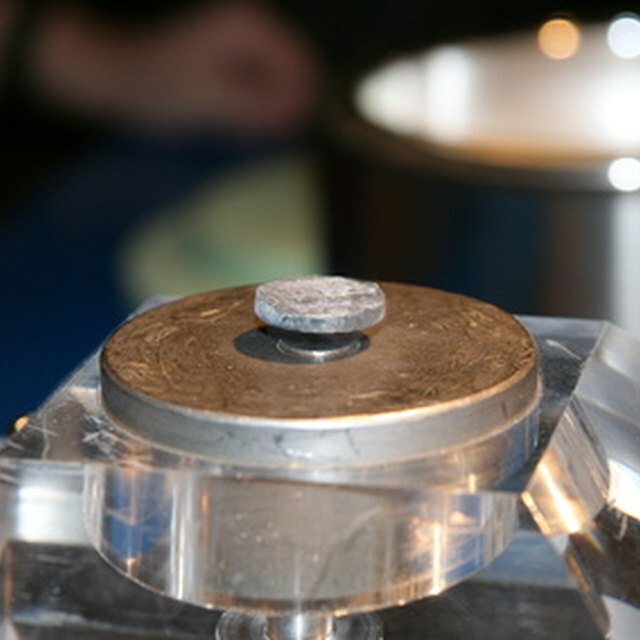 Magnets offer many benefits to the industrial world. Magnets in electric generators turn mechanical energy into electricity, while some motors use magnets to convert electricity back into mechanical work. In recycling, electrically-powered magnets in cranes grab and move large pieces of metal, some weighing thousands of pounds. Mines use magnetic sorting machines to separate useful metallic ores from crushed rock. In food processing, magnets remove small metal bits from grains and other food. Farmers use magnets to catch pieces of metal that cows eat out in the field. The cow swallows the magnet with its food; as it moves through the animal’s digestive system it traps metal fragments. Magnets are found in some commonly used medical equipment such as and Magnetic Resonance Imaging machines. MRIs use powerful magnetic fields to generate a radar-like radio signal from inside the body, using the signal to create a clear, detailed picture of bones, organs and other tissue. An MRI magnet is very strong – thousands of times more powerful than common kitchen magnets. Another medical use for magnets is for treating cancer. A doctor injects a magnetically-sensitive fluid into the cancer area and uses a powerful magnet to generate heat in the body. The heat kills the cancer cells without harming healthy organs. Though it may not be obvious, most homes contain many magnets. Refrigerator magnets hold papers, bottle openers and other small items to the metal refrigerator door. A pocket compass uses a magnetic needle to show which way is north. The dark magnetic strip on the backside of a credit card stores data in much the same way as a computer’s hard drive does. Vacuum cleaners, blenders and washing machines all have electric motors that work by magnetic principles. You’ll find magnets in phones, door bells, shower curtain weights and children's toys. Chandler, Faith. "Uses of Magnets in Our Daily Life." Sciencing, https://sciencing.com/uses-magnets-daily-life-8056272.html. 13 March 2018.